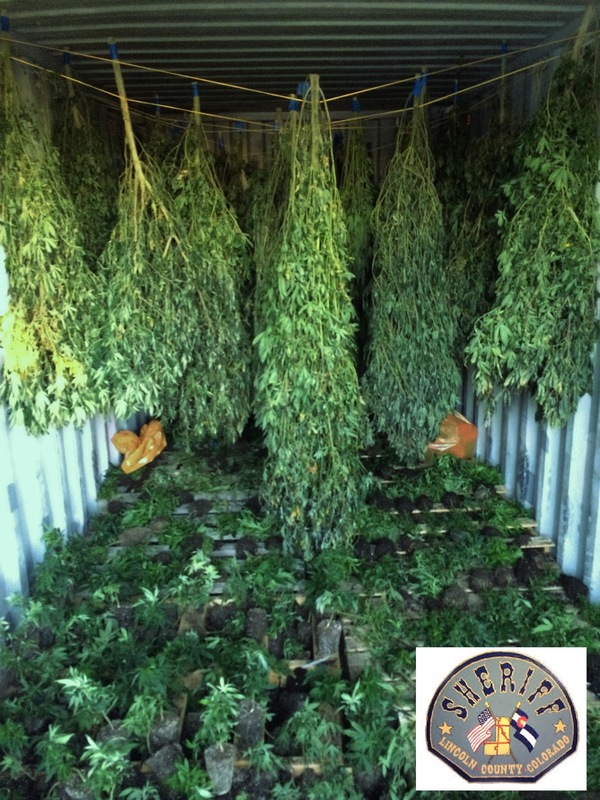 Two local men are facing multiple felony charges after last week’s discovery of a large illegal marijuana operation on their property within the town of Genoa. Arrested were 44-year-old William Glazier and 29-year-old James Melone. Both are recent residents of the town. 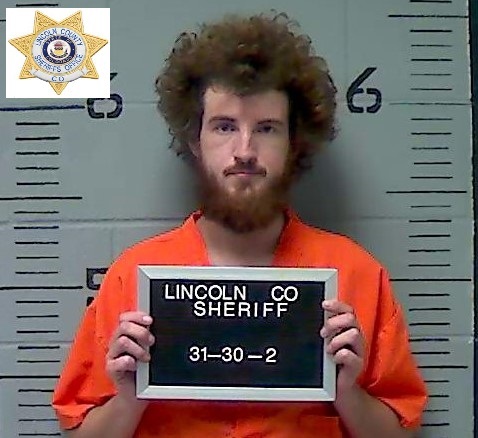 The chain of events that led to the arrest of the two men began Wednesday, Dec. 28 at 7:25 p.m. when the Lincoln County Dispatch Center received a 911 call about the theft of a black pickup truck in Genoa. Before the other deputies could arrive, Colpitts and Erwin arrived in Genoa, located the stolen black pickup, pulled it over and detained Glazier who was driving it. Sheriff’s investigators later determined the black pickup was the one that had crashed into the parked vehicles. Also responding to Genoa was the Hugo Ambulance Service which was dispatched to assist two individuals who had been injured when the parked vehicle they were sitting in had allegedly been struck by the stolen pickup. They were transported to Lincoln Community Hospital in Hugo where they were treated and later released. 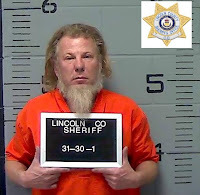 During the investigation, Sheriff’s deputies obtained information about an illegal marijuana grow-and-cultivation operation that was allegedly taking place on the property where Glazier was residing in Genoa. 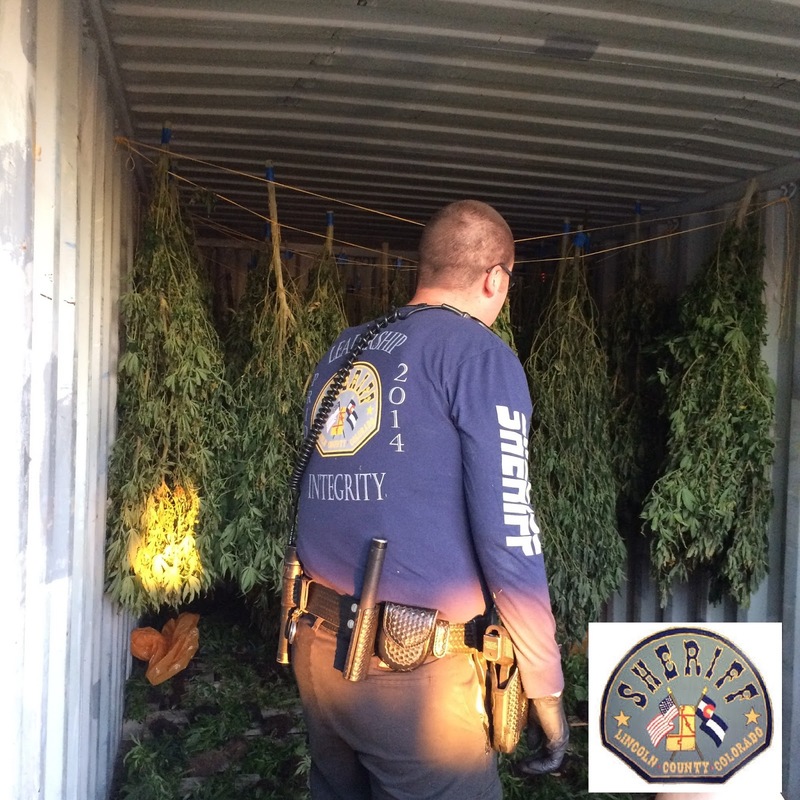 During the search of the property, the officers discovered and confiscated 10 pounds of processed marijuana. They also found close to 1,100 marijuana plants under cultivation. Melone, the other resident of the property, was taken into custody during the execution of the search warrant. The specific charges to be filed against Glazier and Melone are still pending a decision by the District Attorney’s Office. 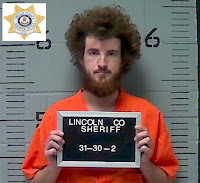 The Lincoln County Sheriff’s Office is praising the public’s assistance in this case. Although marijuana possession and cultivation is still illegal under federal law, it was legalized in Colorado by the passage of Amendment 64 by the state voters in the 2012 election. Under the current state law, adults age 21 and older are allowed to possess up to one ounce of marijuana and own up to six plants. Commercial marijuana grow-and-cultivation operations are permitted, but have to be licensed, taxed and regulated by the State of Colorado. 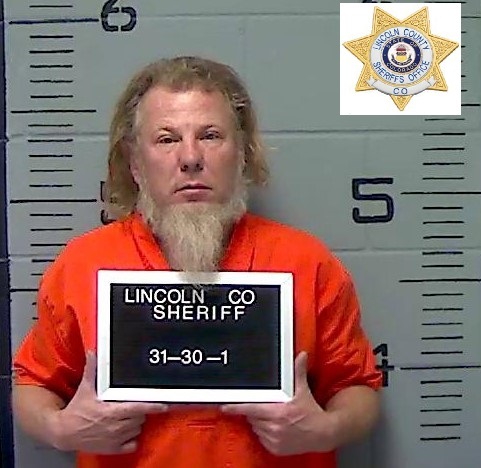 “Sheriff Nestor also wants to let the community know that any illegal marijuana operations in this county will be aggressively investigated by the Lincoln County Sheriff’s Office,” Yowell said.